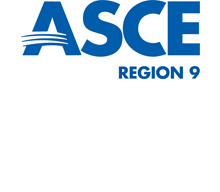 It is a privilege to serve as your ASCE Region 9 Director through 2020. Our Board of Governors' mission is to "assist the Society's Board of Direction on a regional basis in governing the Society and to provide leadership and carry out programs for the benefit of Region 9." The Governors strive to visit the organizations to stay in tune with the needs of our membership. Please contact me if I can be of help with your activities.